Went hiking with my son Bryn’s little dog, Tiny. Expected to be out all week but unfortunately hurt my back so limped home. 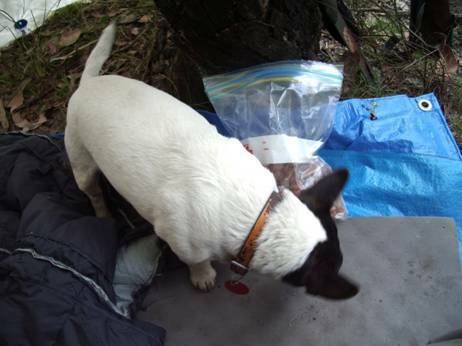 Here we see Tiny on her special hiking bed helping herself to some dog nuts and her caching some for later, just in case.